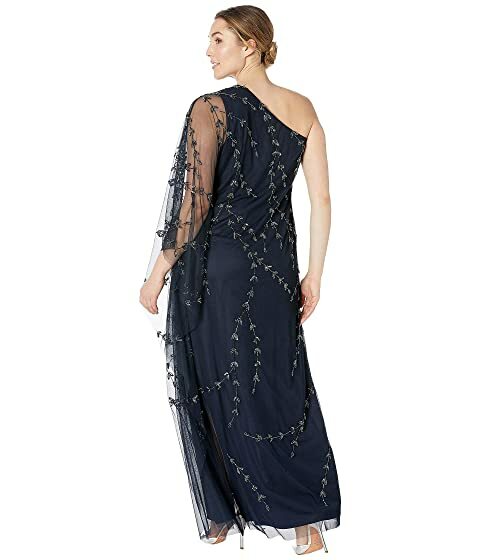 Shine brighter than the rest in this Adrianna Papell® Plus Size One Shoulder Beaded Kaftan Evening Gown. 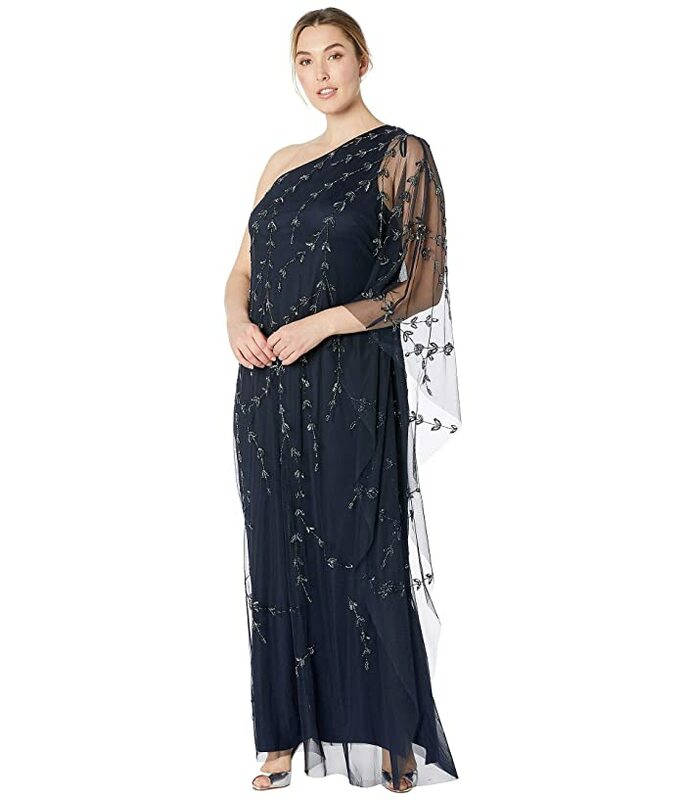 One-shoulder evening gown in a column silhouette. Gorgeous beading throughout a poly fabrication. Sheer cascading overlay at single sleeve.